Alastair Hay is a professor of environmental toxicology at the University of Leeds. He has worked on chemical weapons issues for nearly 40 years. Part of this work has included six investigations of actual and alleged chemical weapons use. In 1995, Professor Hay worked with PHR on the analysis of soil samples collected from sites in Iraq. The results confirmed the presence of mustard gas and the nerve agent sarin along with breakdown products of both agents. This study showed that even four years after bombs were used, positive evidence of the chemicals could still be found. 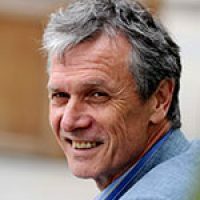 Professor Hay’s work has been published widely on chemical warfare issues and is currently involved on work to increase awareness among chemists of the 1997 Chemical Weapons Convention, the international treaty which outlaws the use of chemical weapons.